A police official says a car bomb blast near a restaurant and hotel in Somalia's capital has killed at least one person and wounded two others. Capt. Mohamed Hussein says the car bomb detonated in the middle of a road near the presidential palace. There was no immediate claim of responsibility, but homegrown extremist group al-Shabab often claims deadly attacks in Mogadishu. 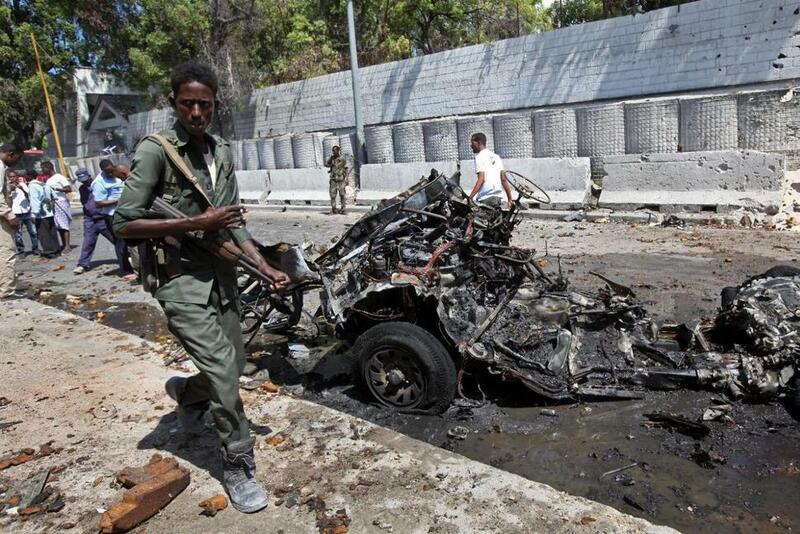 Another car bomb exploded Tuesday at a military checkpoint near the presidential palace, killing at least six people. Al-Shabab claimed responsibility. The extremist group has denounced Somalia's new President Mohamed Abdullahi Mohamed as an "apostate" and warned Somalis against supporting him. Al-Shabab was kicked out of Mogadishu under Mohamed's brief term as prime minister in 2010-2011.